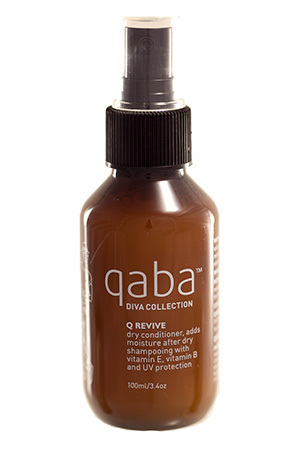 Dry conditioner acts as a conditioner after using qaba Q powder dry shampoo. It conditions the hair without needing to wet it down. Adds moisture and nourishes hair with vitamin E, vitamin B, soy protein, wheat protein and UV protection. Anyone that uses dry shampoo. It won’t weigh down fine hair. Spray directly onto the hair that has been dry shampooed, massage in and then power dry with a hair-dryer or towel-dry the hair.